HTC has announced a new smartphone for Japan which will come packed with WiMAX. 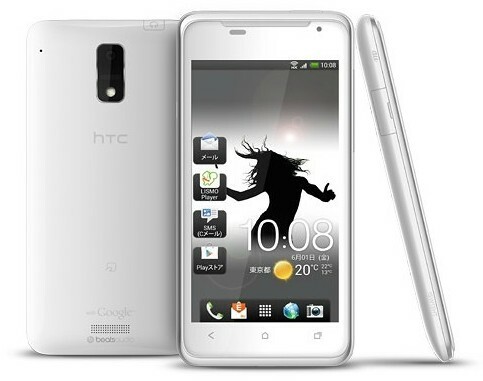 The HTC J will be available via the KDDI network in the country and it pretty much has the same specs as the HTC One S.
The specs of the HTC J include a Snapdragon S4 chipset with a 1.5GHz dual core processor, a 4.3″ AMOLED display with qHD resolution, 16GB of built-in memory and a microSD card card slot, an 8MP camera on the back and a 1.3MP camera in the front, Wi-Fi, WiMAX, Bluetooth and an infrared port. The smartphone runs on the latest Android 4.0 Ice Cream Sanswich OS. Weighing at 142 grams, the smartphone also has a decent battery backup thanks to the 1810mAh battery. Colour options include black, red and white. The HTC J will come bundled with a pair of UrBeats headphones and KDDI is even offering a promotion where 500 customers will get a pair of HTC Solo headphones as well.